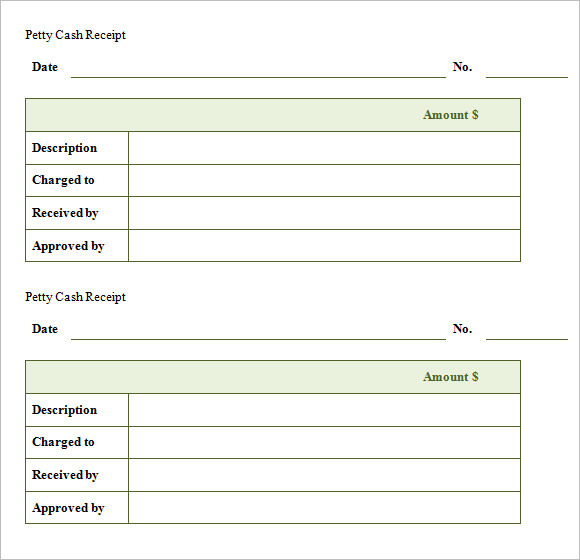 A business receipt template is a small sheet of a document or a proof of a transaction between a payer and payee. The receipt features some information about the transactions. 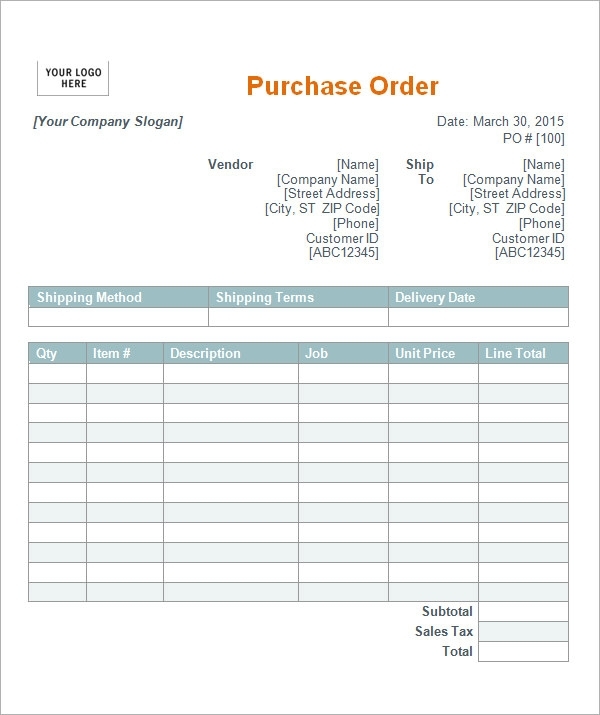 Every business whether big or small uses business receipt templates in order to record all the business deals and payments. 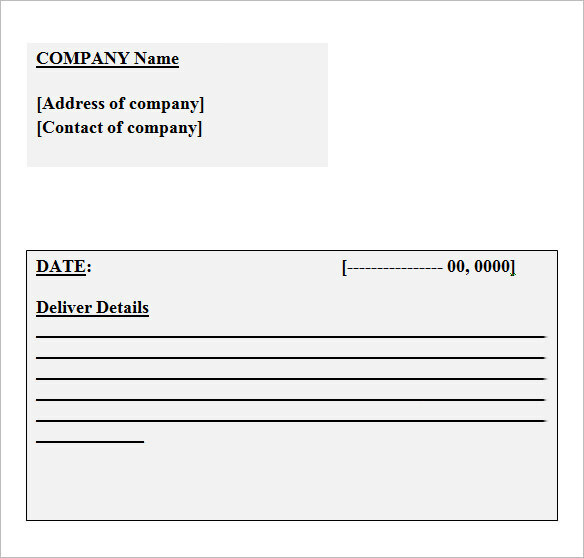 People doing small time business generally use white blank paper as business Sample Receipt Templates but it is highly recommended to use a business receipt templates in a proper professional format and layout featuring all the details like the names, date, the type of receipts, name of the company, signature etc. 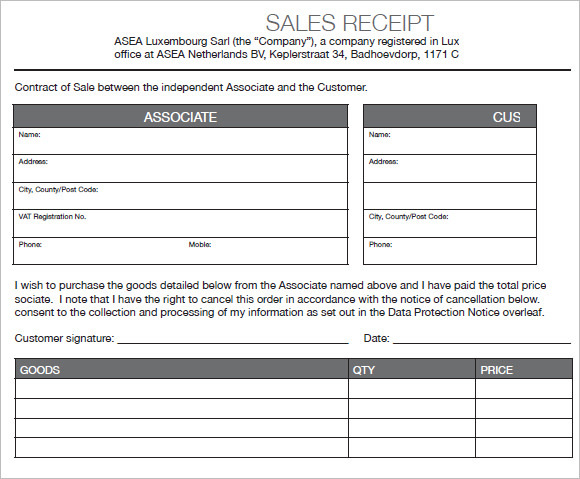 A business receipt template should also have a unique serial number or a code on the bottom or top corner of the receipt which helps in identifying the receipts. The size of the receipts usually depends upon its content and nature. 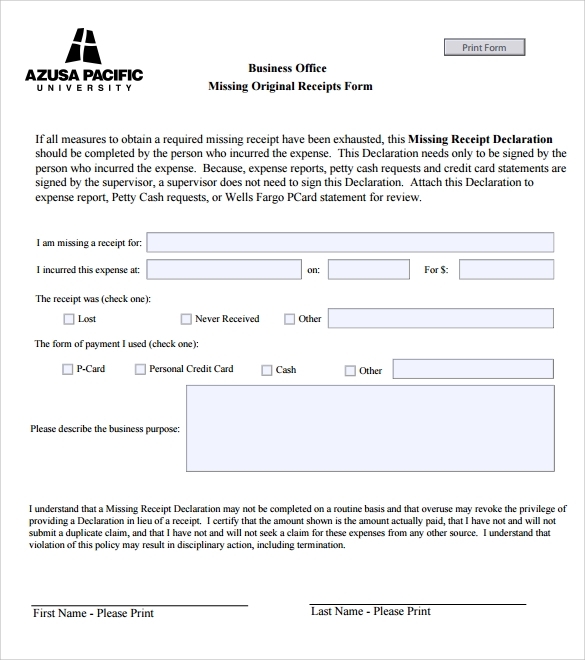 There are many kinds of receipts templates which come under business receipts templates and it totally depends upon the nature of business on which the receipts are being given. 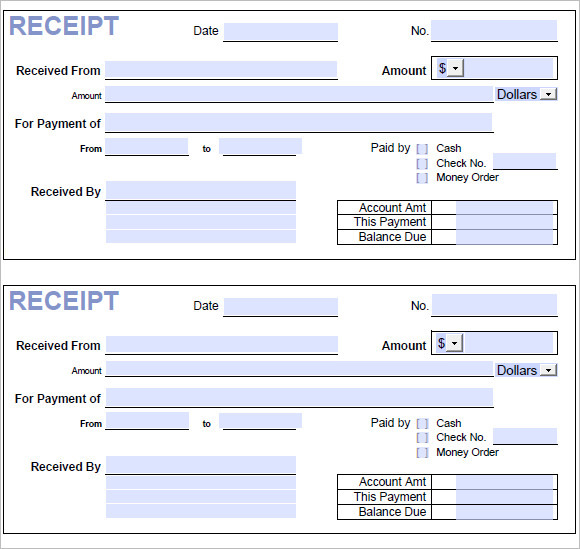 The following are few types of business receipts templates. A house rent receipt is a receipt issued by the landlord to the tenants. It acts like a proof of payment received by the landlord from the tenants for the monthly rent of the property. These receipts are given after receiving a certain amount of cash by the payers. 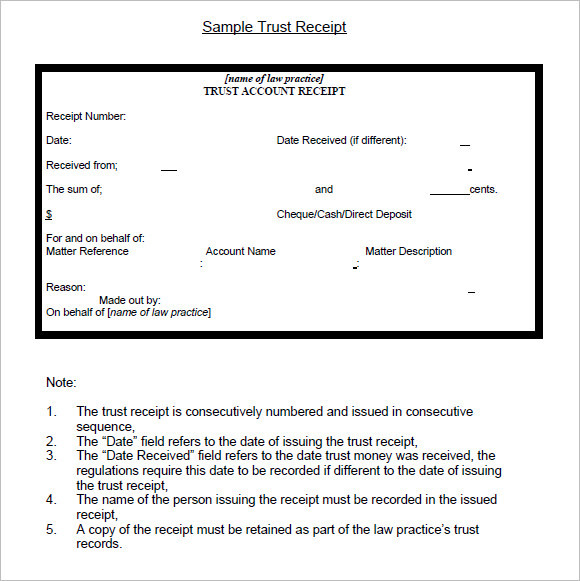 The receipt includes the detail of the payment along with the date and signatures of both the parties. 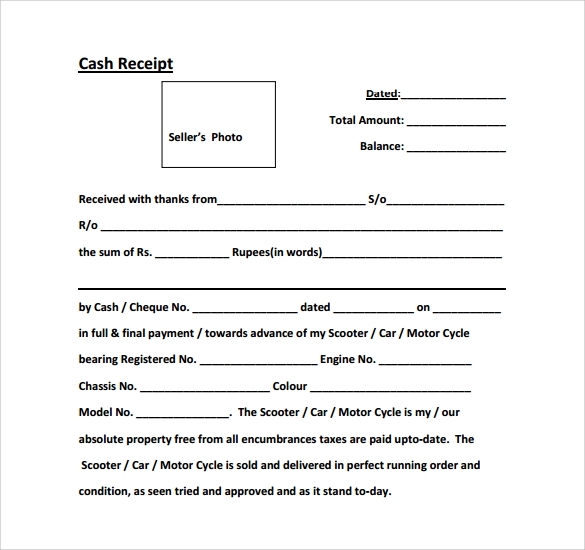 An invoice or a bill is a statement of the purchasing done by the purchaser. This is issued by the seller of goods or service providers after the customer pays for the specific service or goods. It is a commercial document issued by the buyer to the seller which has the details of the product or service for an agreed price. It helps the buyers to form a contract between them and the sellers. To keep records of all the business transactions and deals. To calculate the profit and loss of the business. Keeps transparency in transaction between two parties. Helps averting tax payments under some sections. 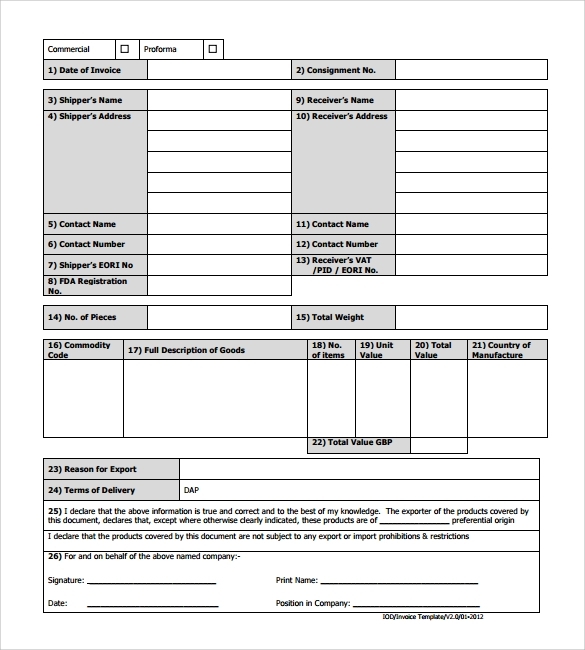 Since business receipts templates are important official documents, so the design structure should also be in a very professional manner. The type of design depends on the type of receipts as mention above. 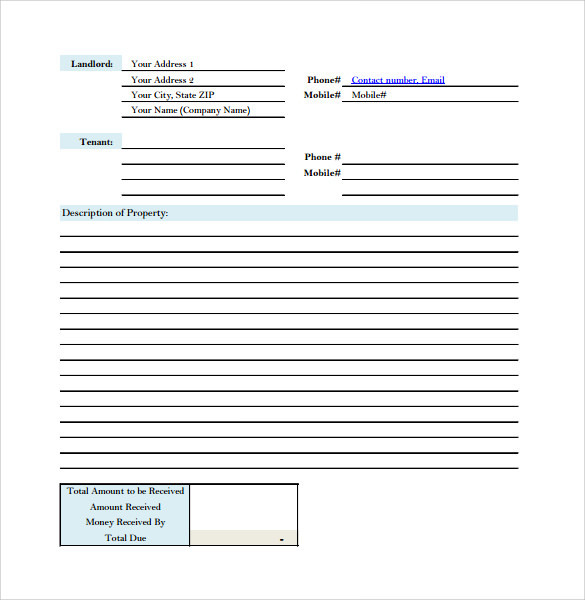 For example, a house rent receipt only mentions the name of the landlord and the tenant along with the dates, current month and amount where as invoice receipt mentions names of each and every product or service, detailing the cost of those along with the name of the company, date of purchase, total amount and the signature of the authorized person which makes it detailed and lengthy. 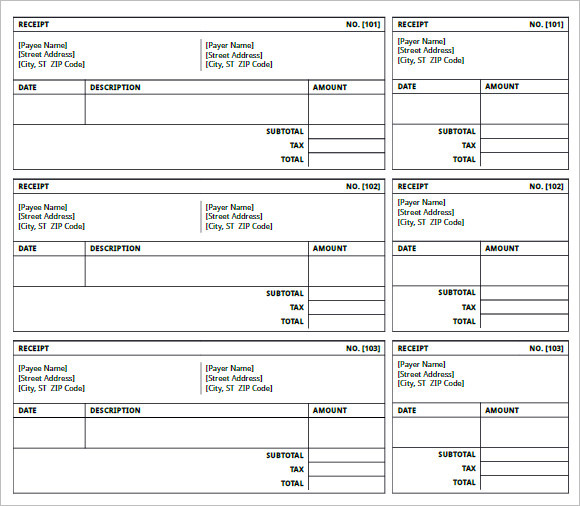 Different business receipts templates have different details and structural designs. By reading the above article, we understand that there are different kinds of business receipts templates which are used accordingly. These templates are available in both PDF and words format which can be printed and customized as per your requirement. For any further queries or suggestion, we are always here for you.